Anchorage police have identified the man who died Monday after he was hit by a pickup as Kasey Turner. Turner, 38, was walking along the left side of Brayton Drive on Monday evening, between O’Malley Road and Abbott Road, according to Kendra Doshier, police spokeswoman. He was headed north. “Turner was partially in the roadway and not on a sidewalk, and he was wearing dark clothing,” Doshier said in an email Wednesday. A pickup heading northbound on Brayton Drive and in the left lane hit Turner near the Thuja Avenue intersection, Doshier said. 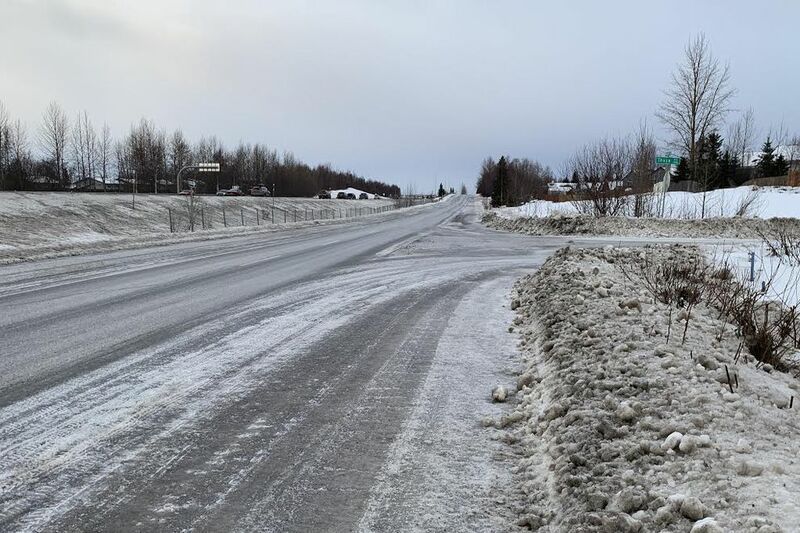 There are no sidewalks on that stretch of Brayton Drive, a two-lane, one-way road that parallels the Seward Highway. Thuja Avenue leads into a neighborhood. Doshier said weather and speed aren’t believed to be factors in the crash. The speed limit is 45 mph. “The main factors appear to be visibility and road conditions,” she said. No charges have been filed. Police continue to investigate, Doshier said. Doshier reminded people to wear bright or reflective clothing when walking or cycling. A man died Monday after he was hit by a pickup truck in South Anchorage, according to the Anchorage Police Department. The man had been walking along the shoulder of Brayton Drive, said a statement from police. A pickup northbound on Brayton Drive and approaching Dimond Boulevard struck the man, police said. Police were called to the area at 5:32 p.m. The man was taken to a hospital, where he died from his injuries. The man driving the truck and a passenger were not injured, police said. Police have not identified the driver. “Impairment is not believed to be a factor at this time,” police said. Police asked anyone with information, including surveillance video, to call 311.